When you recharge your vodafone or airtel data package then you compare these 2g and 3g data packs of both mobile operators. 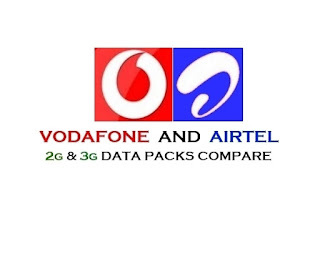 Give here this post India's most popular two mobile operators company's 2g & 3g data packs. I think everybody get benefit of this post for their data pack recharge. *Red color means Vodafone and blue color means Airtel.